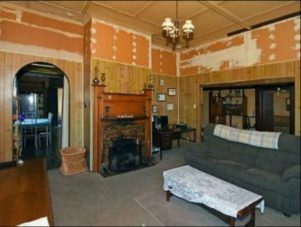 A house believed to be more than 100 years old has been given a new lease on life, despite previously having had demolition on the cards. 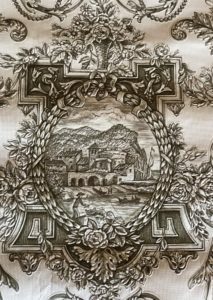 The 100-year-old Italian wallpaper in the kitchen. Laurence and Elise Palmer purchased the house on Edith St, Masterton, last year after several failed bids on other houses around the region. “Laurie had seen it online in March  and saw the size of it and was like ‘wow, that’s huge’,” Mrs Palmer said. But the amount of work required to save the house prevented them from initially considering it, with Mr Palmer’s “we can do that” being responded to with a “no way” from his wife. “In the end it was me who convinced him,” she laughed. Mrs Palmer admitted from the outside, the house was a bit of an eyesore. When the Palmers first looked at the house, the land had already been eyed up by two developers who saw the rectangular 1400sqm section as a great opportunity to build several new houses. However, the deceased owner’s family desperately wanted to see the house go to a new family as opposed to being demolished. The couple knew very little about the house’s history except for the fact it was built around the beautiful fully functioning coal stove in the kitchen – a feature which convinced Mrs Palmer they had found their new home. The fireplace which concealed the original brick fireplace, before the wall was removed. “The coal stove is one thing that will never move,” she said. 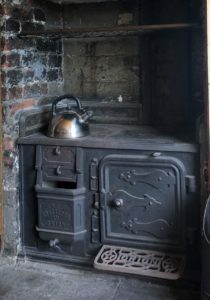 People in the neighbourhood seemed to share the same knowledge and love of the coal stove, with Mrs Palmer receiving several requests from people who turned up on her doorstep out of the blue. 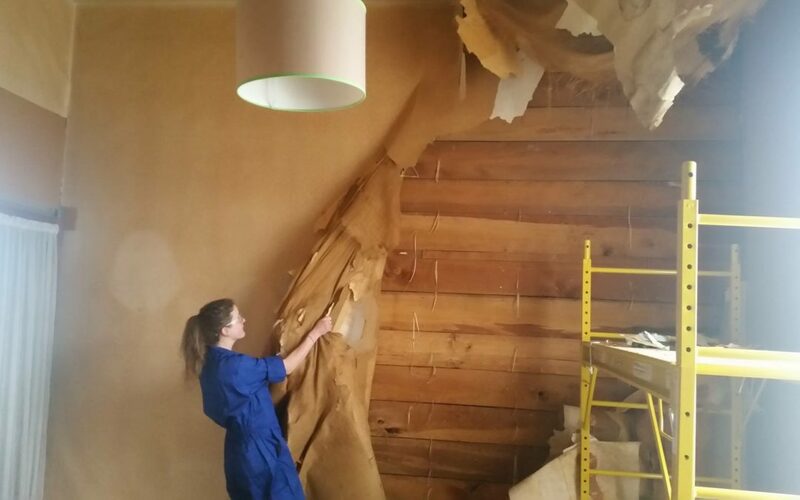 The biggest surprise came when Mrs Palmer decided to rip out the existing fireplace to create more space in the lounge, and discovered a large brick chimney hidden behind the wall. 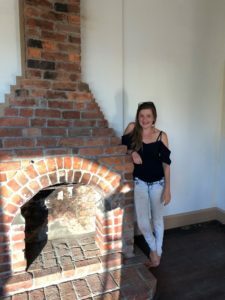 Elise Palmer next to the refurbished fireplace. “As soon as I saw it I knew we had to keep it,” she said. The self-proclaimed DIY novice underwent the gruelling task of grinding out the old cracked mortar, relaying some of the bricks and washing the dust off with hydrochloric acid. She admitted she had done “some pretty insane things” to achieve the look she wanted in the house and there had been many occasions when she had wondered why she had undertaken such an enormous project. 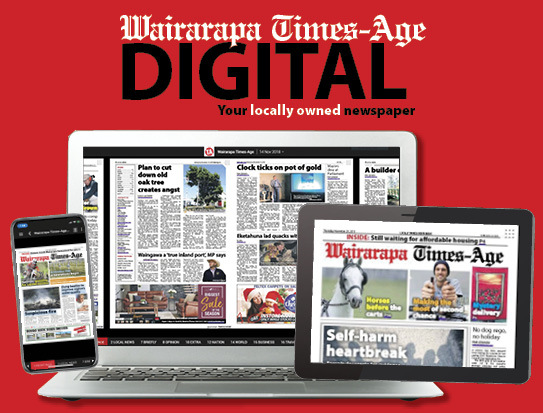 She hoped the house would be completely renovated within the next four years, with the next step being sanding back the floors in all the rooms to expose the original rimu floorboards. It is wonderfull to see a young couple with foresight . Buying this old house and retaining all its beautifull old features . 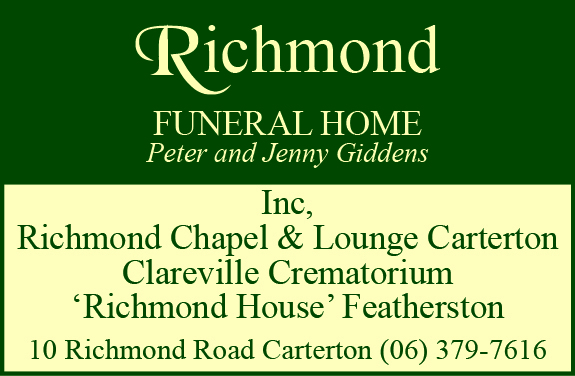 Unlike many other cases in Masterton . Where houses, hotels and other beautiful old colonial and art deco buildings have been demolished or moved elsewhere .